The Executive Hire Show is marked as an important event in the MHM marketing calendar. 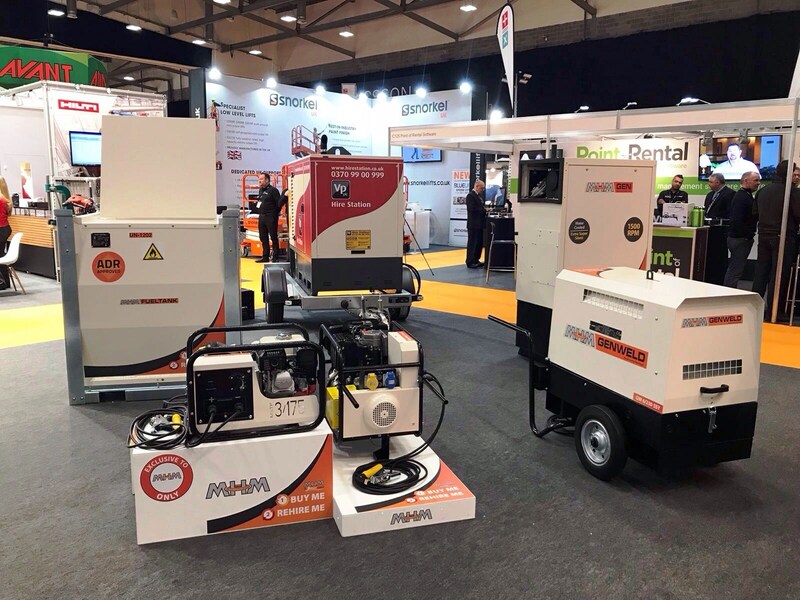 At this year’s Show, MHM will be inviting visitors to view their complete range of power generators, mobile lighting sets and their line of welders. They will be showcasing their brand new Solar/Hybrid power generator, currently available with 6 and 10kVA power outputs. This highly sustainable and cost saving piece of equipment will not only work towards helping end users to save fuel costs, but will also be of benefit to the wider environment, as it drastically reduces harmful emissions. The MHM team will also be introducing to the hire industry a new range of fuel storage tanks, 950 to 3000 litres, along with load banks, distribution boards and a complete line of transformers. MHM’s national rehire service has been a vital component in many hire firms operations throughout 2018. The MHM rehire team are keen to explain to any registered hire organisation how their unique function helps them to offer a comprehensive site lighting, generator and welder hire service, without having to endure costly capital outlay. Mat, Rob and Megan will all be ready to answer any questions relating to MHM equipment and services.